I wanted to prepare the tradional chickpea hummus since weeks, even months, but I never did it. Because I couldn’t find a tahini sauce with just sesame and nothing else. It was easier than I thought: I just had to look for a Lebanese grocery store where I could buy this sauce and that’s it! Once I bought this sauce, I had no other excuses. I just had to wait for the chickpeas to soak for a night and nothing else. The day after I finally made my chickpeas hummus. But, what is it hummus? 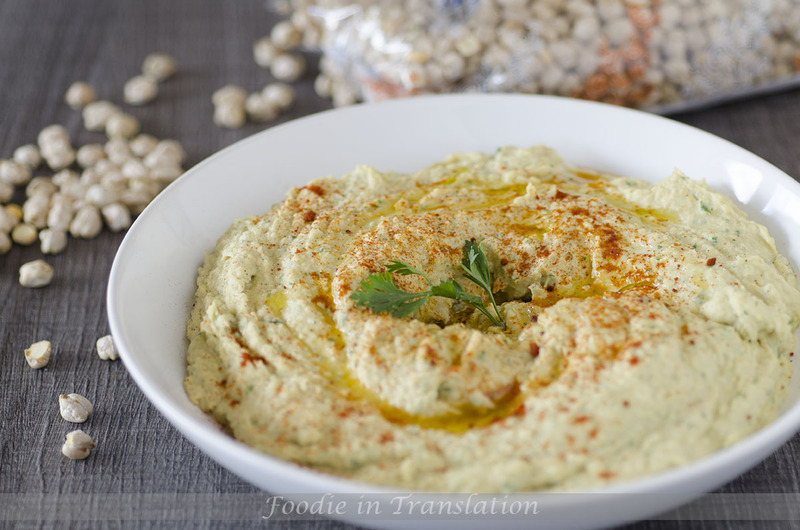 The hummus, Arabic word which literally means “chickpea”, it is a traditional Middle-East appetizer or dip, made with chickpeas and sesame paste. It’s traditionally served as part of a Mezze, a selection of small dishes served at the beginning of meals. Soak the chickpeas overnight (12 hours) in plenty water and lemon juice (1 tablespoons). 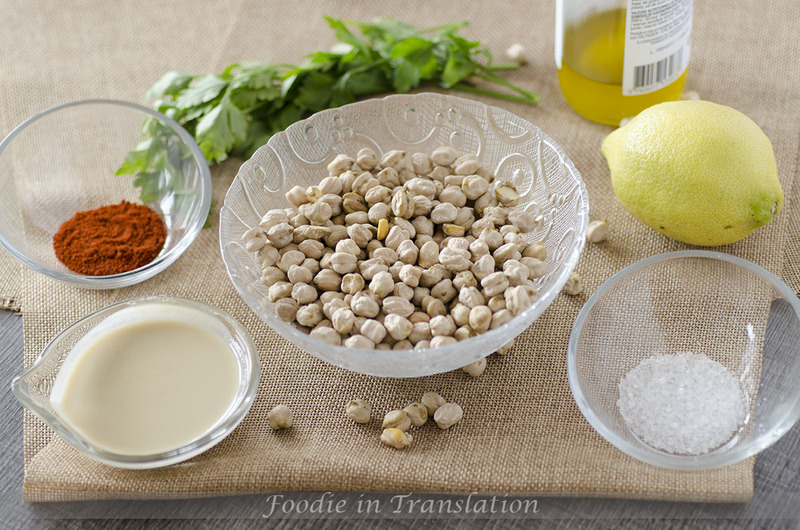 Drain the chickpeas, wash and place them in a cooking pot with cold water. Cook for 1-2 hours, until they are cooked. Drain them and do not throw away the cooking water. Wash the chickpeas under cold running water and remove the skin, if you have time. Put them in a food processor, add tahini paste, lemon juice, peeled garlic, parsley, salt and olive oil. Pulse until the hummus has a creamy texture. If you need, you can add some cooking water. Taste the dip and add salt, lemon juice or tahini if needed. Transfer the chickpeas hummus to a medium plate, season with olive oil and a sprinkle of paprika. Serve with pita bread, chips or vegetables. You can keep the chickpea hummus in a air tight container in the refrigerator for up to a week.